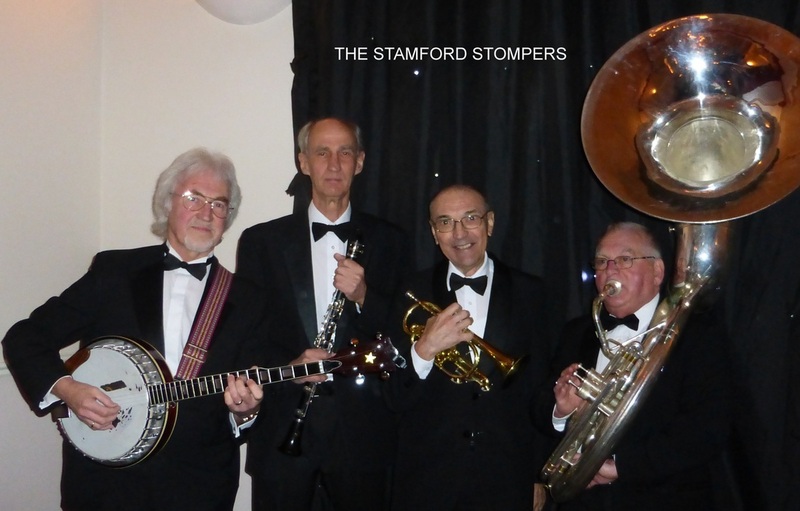 The Stamford Stompers performing in a park bandstand. We can dress very smartly when required. See below right. Loads of testimonials on the "About" page. Li﻿﻿v﻿﻿e music for your wedding or function. Tuneful Dixieland Jazz - music from the 20s and 30s. "It stomps along very well and everyone is together and lyrical - what more could you want?"